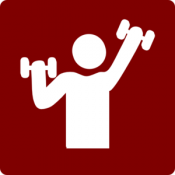 I have designed an app that would be able to collect its users workout routines, eating habits, and body changes in order to analyze them to identify what is actually making the most progress towards its users goals. The main value of this app would be the ability to match users to the most successful plans being followed by others who share a similar body composition and goal. It uses wrist and ankle measurements to estimate the users muscle potential and establish realistic goals, and then track their changes in muscle and fat mass to determine the effectiveness of the workout and nutrition plan they are following. The following is a partial list of what the app would collect and track for analysis: * exercise sets, reps, and rest times * workout length * activity levels (used to estimate caloric intake needs and calories above/below maintenance) * muscle potential (as a percentage out of 100%, your maximum potential) * body fat% * macronutrients consumed per day and per meal * meal timing Through collection and analysis of these and other data points, it is hypothesized that patterns will emerge identifying where the most progress is being made per body composition (male/female, bone structure) Apart from being the only data driven fitness app, it would also be the first to include both a workout tracker and nutrition tracker in one app (to my knowledge). The intention is to make the app free, and integrate kiip rewards that would reward it's users for completing workouts, progressing towards their goal, and achieving personal bests. We are currently attempting to identify market potential, and see if it solves a need shared by enough people to merit it's development.